Adae To Remember: Ever Bilena : P60,000 worth of cosmetics and prizes await at Make-Up Mania! 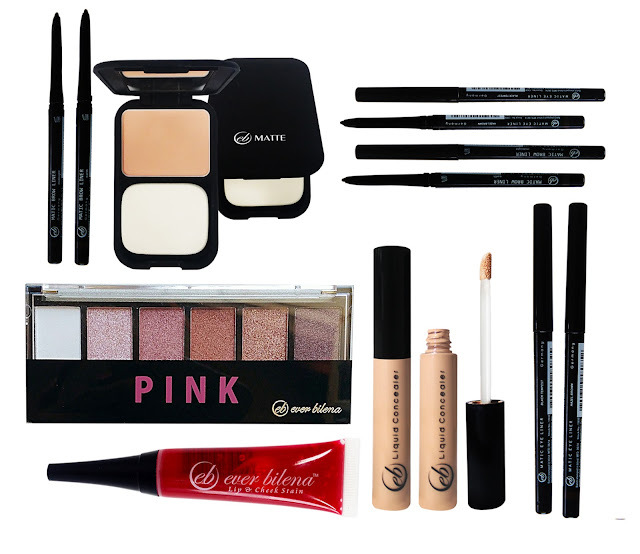 Ever Bilena : P60,000 worth of cosmetics and prizes await at Make-Up Mania! Buy more and win big as Ever Bilena, the country’s leading cosmetics brand, invites you to join Make-Up Mania – a raffle contest open to all Ever Bilena customers and ongoing exclusively at all Watsons Stores nationwide. Be sure to place all purchases in a single receipt. Make sure to “like” Ever Bilena’s official Facebook page, www.facebook.com/everbilenacosmetics, and send them a personal message with a photo of your proof of purchase. Include your name, address, contact number, and Facebook account with the photo. Proof of purchase should be readable and clear. Once sent, you will receive a notification from an Ever Bilena representative indicating that your entry is valid. The more entries you submit, the more chances you have of winning. One lucky winner will take home a total of P60,000 worth Ever Bilena products, two nights hotel accommodation at Luxent Hotel, and two domestic roundtrip tickets from Air Asia. Two winners will receive P20,000 worth of Ever Bilena products with two buffet dinner at Luxent Hotel and shopping spree from Jewels. Ten winners will win P3,000 worth of Ever Bilena products. Entries will only be accepted until July 31, 2017, so start shopping for your favorite Ever Bilena make-up today!